This is the first album from Swano's Nightingale, back then it was a single man project, im guessing because of this single man work, Dan decided to put a drum machine, instead of playing the drums himself, this turns out to be a very bad move, as the drums sound very fake and it really brings the whole music down. But fear not, my friends, because Dan salvages the album with his synth/guitar work, which is very melodic, very groovy. 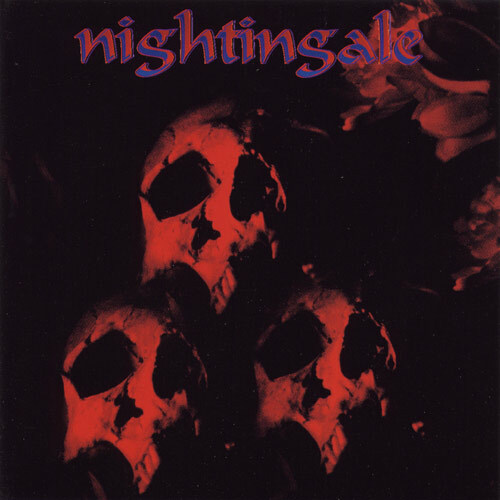 This album is more gothic and dark than all the other nightingale albums, which are more 70s rock oriented, and i like the evolution Nightingale took after this album. But that difference also makes this album stand apart from the others. His vocals are not as impressive as in his new stuff, but it sounds like the clean vocals of the legendary Crimson album by his main band Edge Of Sanity. Lyric wise, you should know this is the second part of the Breathing Shadow Trilogy (Which actually goes on for four albums and the first song of the fifth album, so i wouldnt called it a trilogy) And its realy hard to describe the lyrics, but they are a big plus, as the story is completely akward with what today's metal genre might generally offer. In resume if you own any Nightingale album, almost obligatory you have to get this album to understand the story, if you have never listened to Nightingale, start off with I as it is more accesible, and its also the first part of the story. But as always with Dan's work, is very creative, and very competent work, for what has to be one of the most talented guys in the world.